For this crusade the challenge is to make and send Mail Art. I painted file folders and tag board to be cut down into postcards. 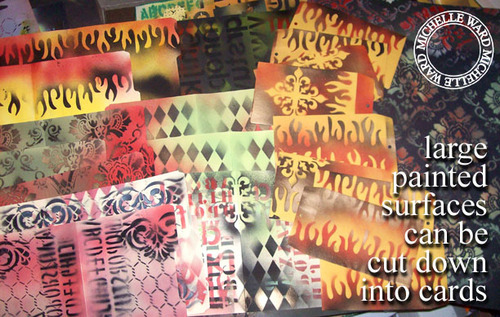 The new custom cut flame stencil and mask is my favorite, can you tell?